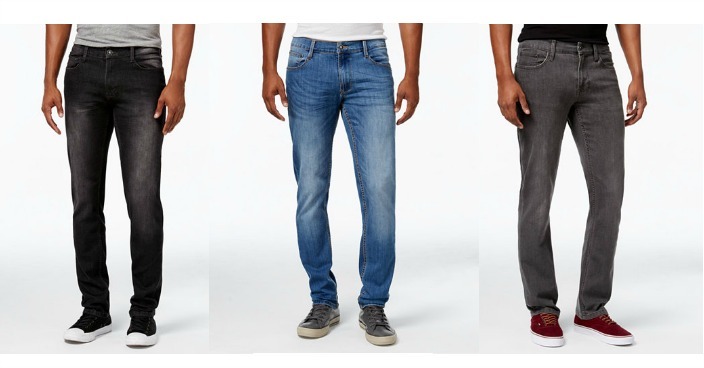 Men’s Ring of Fire Jeans Only $15.99! Down From $45! You are here: Home / Great Deals / Christmas Deals / Men’s Ring of Fire Jeans Only $15.99! Down From $45! Macy’s has these Men’s Ring of Fire Jeans on sale for $24.99 (Reg. $45) but you can get one for only $15.99 after the $10 discount applied automatically and when you use promo code GIVE (20% off) at checkout! Plus you can get FREE shipping on orders over $49 or with any Beauty purchase! Embrace the dark side of denim with these stylish black-rinse jeans from Ring of Fire featuring a modern, streamlined silhouette and on-point handsanding.